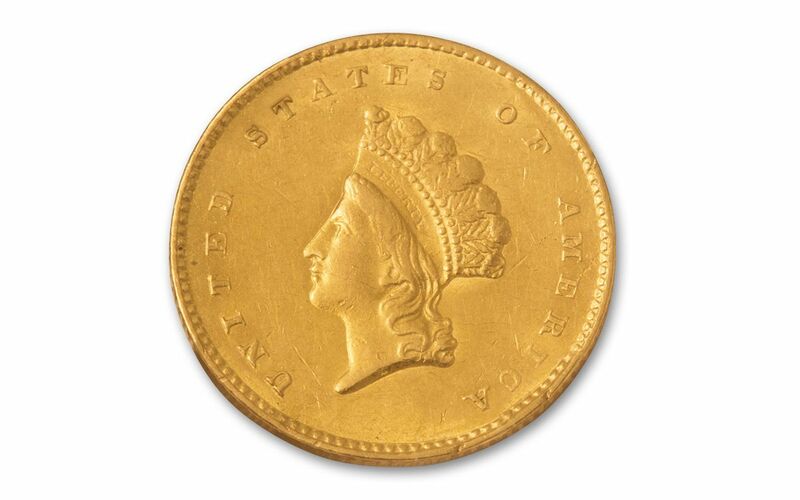 Holding this gorgeous 1855 $1 Gold Indian Princess Type 2 coin is like holding a piece of American history in your hands. Even though it's over 160 years old, this example grading About Uncirculated-50 (AU50) by Professional Coin Grading Service (PCGS) is in remarkable condition, showing original mint luster and only a bare minimum of circulation. Because this coin is so hard to find in any condition, the higher its grade, the more sought after and expensive it becomes. 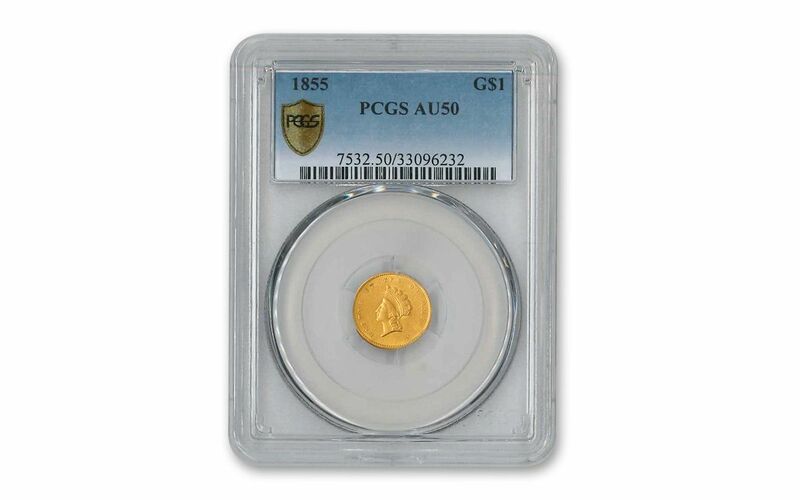 Many numismatists agree that coins in About Uncirculated (AU50) condition like this example may be one of your better gold buys. 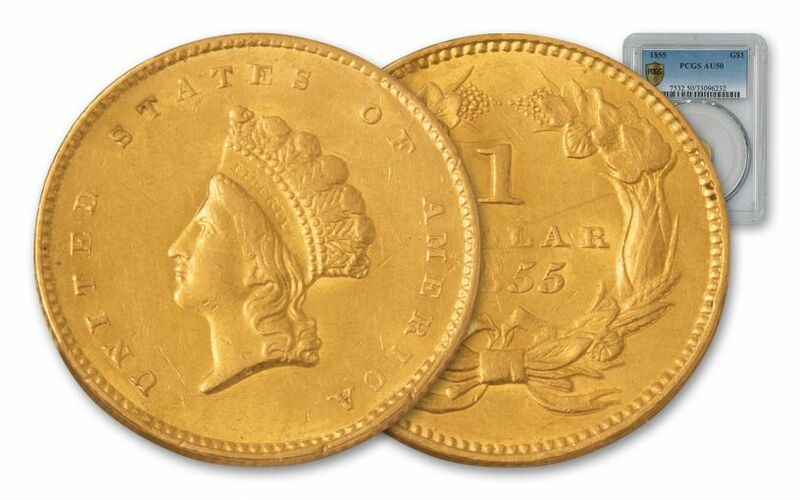 Completing a 12-coin U.S. Gold Type set (one example of every type of gold type coin struck by the mint between 1849 and 1933) in AU-50 condition is a worthy collecting endeavor. 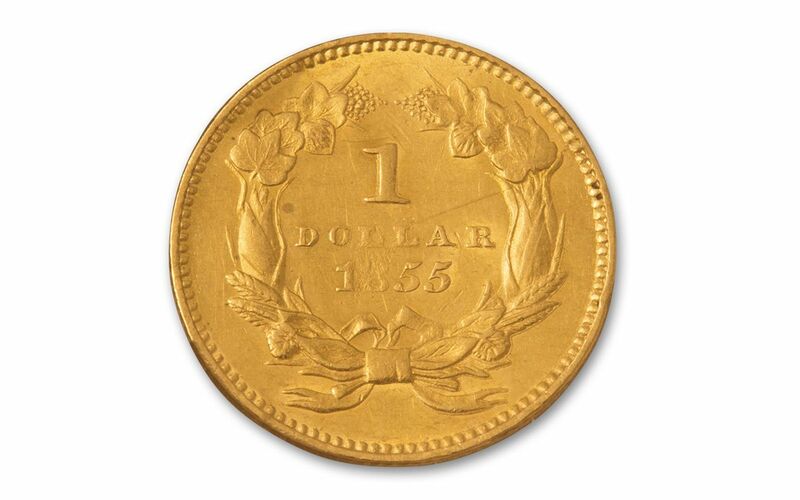 When you also consider that this Type 2 Indian Princess Gold Dollar is one of the most elusive coins in your set, you won't hesitate to secure this example for your collection today!